Answer 1: Teiid can use XA datasources. For example, using it insert into Oracle and SQL Server atomically. Answer 2: From TEIID-3907, In Teiid, the transaction manager will fully support xa with all xa sources and a single local transaction resource. Beyond that however there is no built-in support for compensating transactions with non-XA sources. There has been work in Narayana on compensating transactions though that could be used by custom web apps consuming Teiid. We would like to eventually offer compensating options for some of our updatable non-XA sources, but it hasn’t had sufficient priority yet. This section will list some basic prerequisites, backgroud technologies for understanding Teiid Transaction. In this section we will use example to demonstrate these types of transactions. This simply send 3 messages to server side, which the DQP methods: begin(), executeRequest(), commit() be executed accordingly. The DQPCore begin() will trigger the TransactionManager’s begin() method via Proxy. The proxy commit in a different threads for asyn. In above begin() and commit() section, a dynamic proxy be used to begin or commit transaction, be low is a example to simply view how proxy works. The TransactionServerImpl mainly contain a TransactionManager for local transaction, and WorkManager, XATerminator for global transaction. 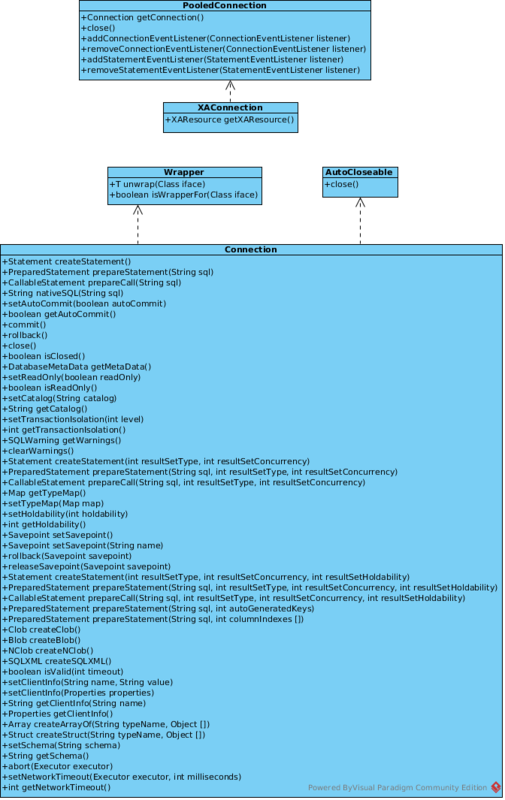 The TransactionContext are session level context which contains a series of attributes with set/get method. 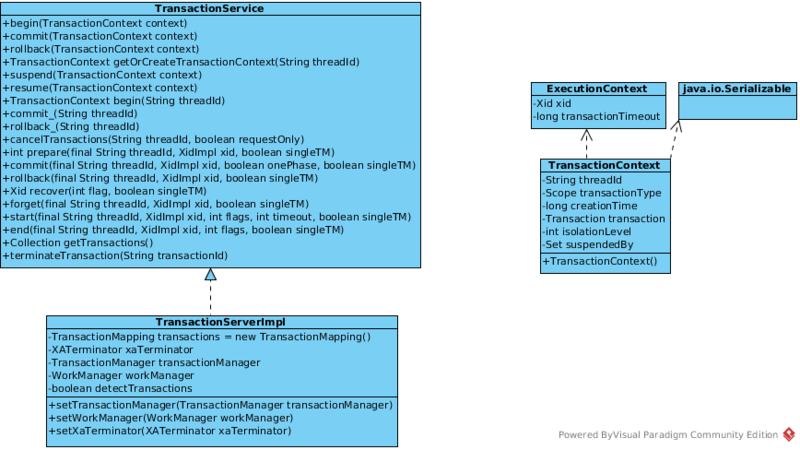 A ProcessProcessor will create a session level TransactionContext, the transaction will begin if met the condition.